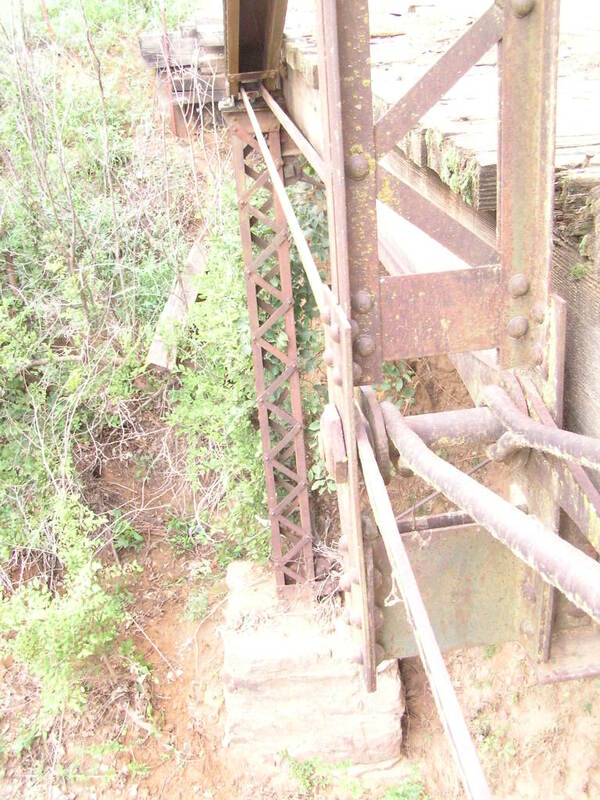 Given a build date of 1920, this bridge is a unique example of a Queen post truss, or a Pratt truss with 3 panels. The Queen post truss, along with the King post truss, both date back to the medieval times, though technically, a Queen post truss does not have the X-tension rods in the center panel. 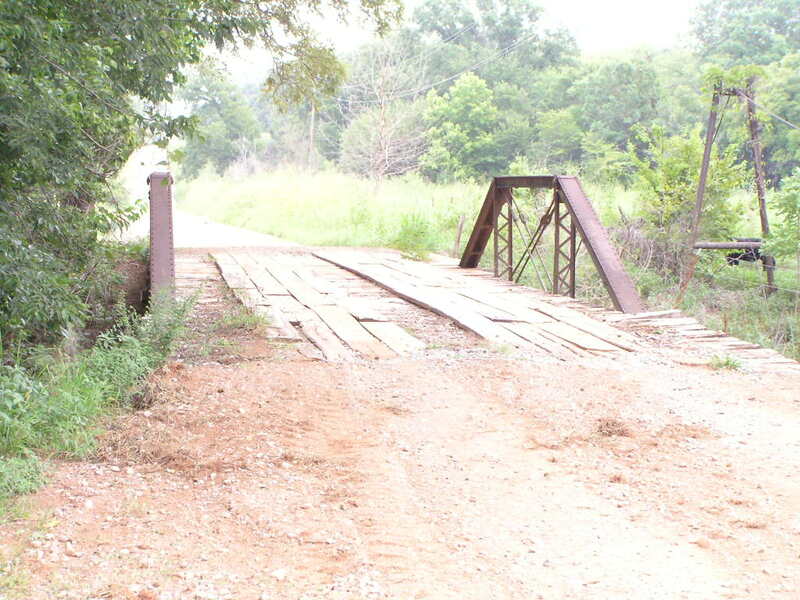 This bridge is located near Kendrick. Above, the bridge consists of two wooden approach spans and the steel truss mainspan. 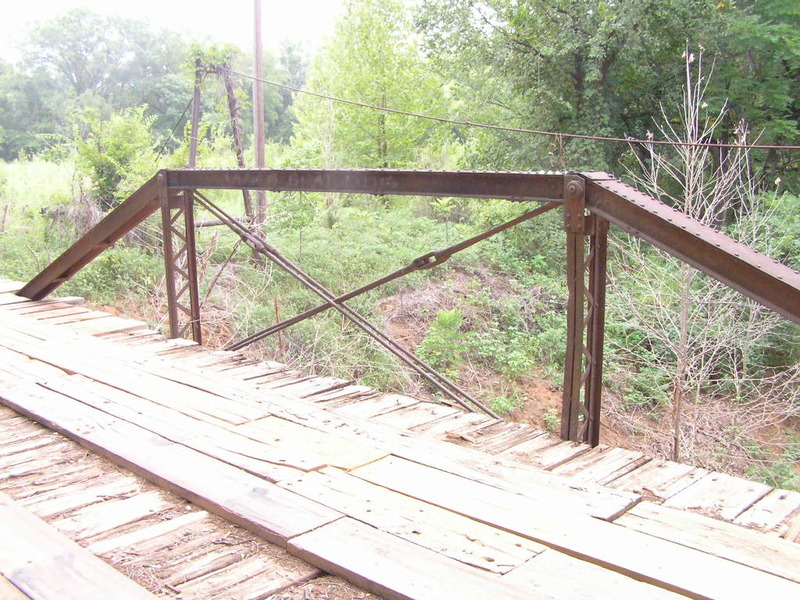 Usually, half-hip Pratt truss spans are used for lengths of 3 panels. 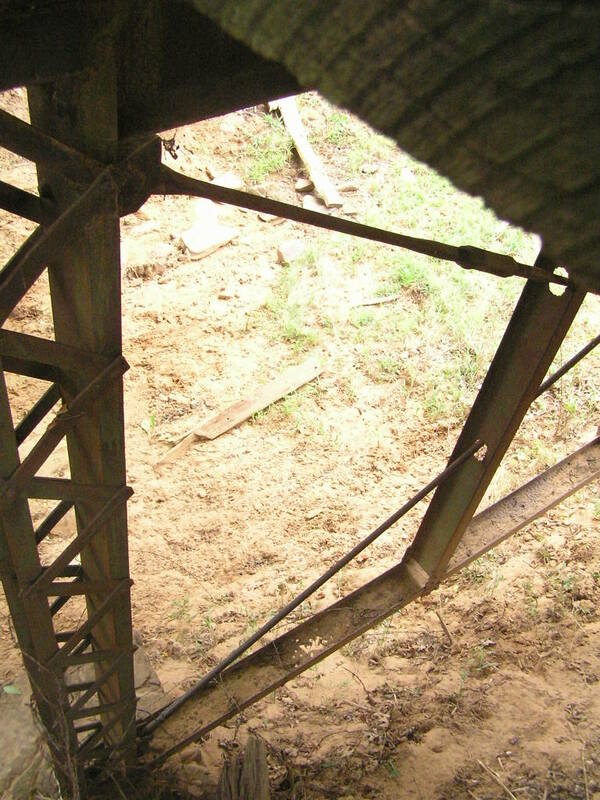 Below, a view of the truss. It really doesn't get any simpler than this. The X-rods in the center panel take care of shear stresses, and make a great improvement over the simple Queen post truss design. 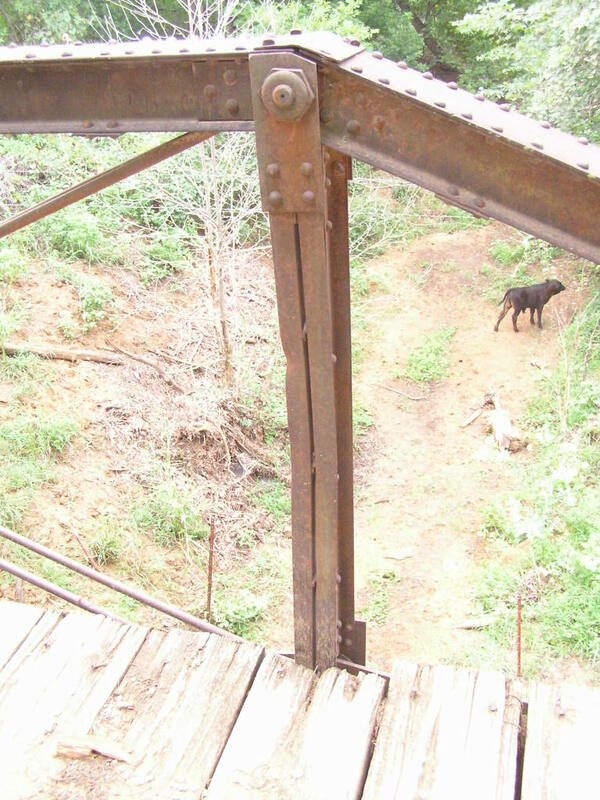 Above, most of this bridge's construction details are given in this photograph. Note that the bridge stands on laced steel columns, similar to a bedstead bridge. The photo below gives a few more details on the bridge's substructure. Below, Detail of the hip connections, and a calf. This span is a good example of a rare type of bridge with ancient roots.